Canada: Was the New Mexico Supreme Court Thinking About Canada? Was the New Mexico Supreme Court Thinking About Canada? 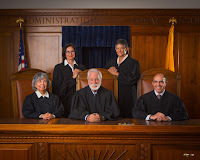 The New Mexico Supreme Court thus describes the situation unfolding in Canada today: first with the Canadian Supreme Court decision in Carter (implicitly finding a right to physician-assisted suicide and euthanasia), and now with news that the BCCLA has launched a court challenge, seeking to expand that "right." This is the first of many [likely] court challenges to Canada's euthanasia and assisted suicide law. The euthanasia lobby [wants] to extend euthanasia to "mature" minors, to people with dementia (through advanced directives) and for people with psychiatric conditions alone. . . .
Canada is proving the New Mexico Supreme Court right.